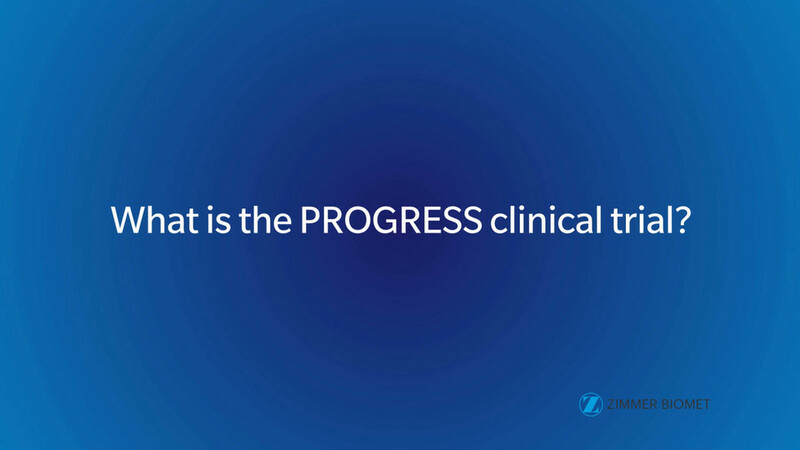 The PROGRESS IV clinical trial will evaluate the safety and clinical effectiveness of autologous protein solution (APS), prepared from a small sample of a patient’s own blood with an investigational device called the nSTRIDE® APS Kit, on pain and function associated with knee osteoarthritis (OA). This material was created by Zimmer Biomet and is intended for informational purposes only. Please see your healthcare professional for individual medical advice. This publication and all content, artwork, photographs, names, logos and marks contained within are protected by copyright, trademark and other intellectual property rights owned or licensed to Zimmer Biomet or its affiliates. This material is intended for use by qualified clinical investigators, their patients, and referring physicians only. Use for any other purpose is prohibited. For product information, including indications, contraindications, warnings, precautions and potential adverse effects, see the package insert. Zimmer Biomet, as a manufacturer, does not practice medicine and this website is not intended to provide medical advice.